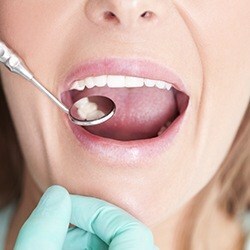 Stop Dental Problems Before They Start! At Dental Dynamics, the famous saying really is true: “an ounce of prevention is worth a pound of cure.” By giving our patients the ongoing support they need to maintain strong, healthy smiles through dedicated preventive dentistry, Dr. Davidson can potentially save them a great deal of cost and time later down the road! If it’s been more than six months since you or your loved one’s last dental checkup, it’s time to give our Skokie, IL dental office a call. We’d love to welcome in the whole family. Why Choose Dental Dynamics for Preventive Dentistry? Dr. Davidson strongly recommends that patients of all ages visit the dentist’s office at least twice each calendar year for ongoing preventive care. During these visits, our team will take the time to better understand your unique smile, comprehensively evaluating teeth, gum tissue, existing restorations like fillings, and much more so that any problems are caught right away. Additionally, a professional cleaning will get rid of plaque and tartar buildup, which reduces the risks of developing cavities and gum disease over time. Dental sealants are typically recommended for younger patients who are still learning the ropes of good oral hygiene at home, although adults can benefit too in certain situations. The application process is very simple – we’ll paint a tough, plastic-based substance along the chewing surfaces of back teeth and harden it in place, effectively creating a barrier that helps prevent stray food debris from sticking. 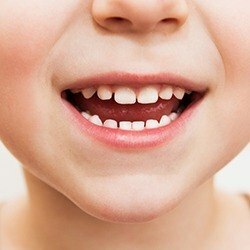 Our goal is to reduce each patient’s overall risk of cavities and keep their smile safer! It’s estimated that anywhere from 30 to 40 million people of all ages here in the United States habitually grind their teeth. This condition, also known as bruxism, is most likely to occur at night, leading to harmful issues like gradual tooth wear and chronic jaw pain with no clear cause. At Dental Dynamics, we’ll be sure to let patients know if we notice the tell-tale symptoms of bruxism and recommend a custom-made nightguard as needed. These oral appliances create a sturdy barrier between the rows of teeth and prevent damaging contact during sleep. Did you know that a whopping 25% of oral cancer cases actually occur in patients who don’t smoke, chew tobacco, or participate in any other known risk factors? This is why early intervention is so important, and a trusted general dentist like Dr. Davidson can actually be your first line of defense. 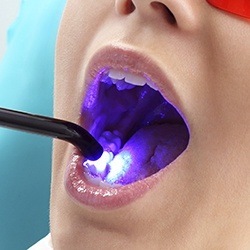 He incorporates oral cancer screenings into every regular checkup, assessing the oral tissue carefully for strange lumps, sores, or other abnormalities that may indicate cancerous cells. If needed, a biopsy can be arranged to test suspicious areas more concretely. Fluoride is a natural mineral that’s found in more places than you’d think – many foods like pickles and potatoes, countless oral hygiene products, and even the water that comes out of your kitchen sink at home. Years of dedicated research have demonstrated a solid link between consistent fluoride exposure and stronger, healthier tooth enamel in children, which is why our dentists also offer professional applications here in-office as a part of regular checkups and cleanings. 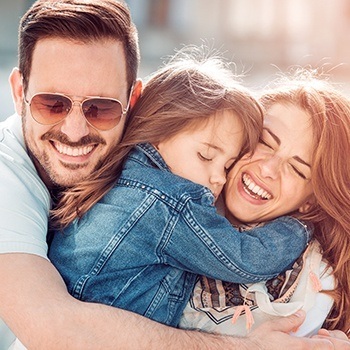 We want to give you and your family’s smiles every advantage! Far too many cases of lifelong dental fear in patients start with negative experiences at a young age – that’s why the Dental Dynamics team works so hard to create a safe and inviting environment for your son or daughter! We’ll match our care approach to their current age and level of emotional maturity, taking extra time to be gentle and patient as needed. We can provide checkups, fun tips on brushing and flossing at home, refreshing fluoride treatment, and many other kid-friendly services. Gum disease (also known as “periodontal disease”) is a gradual infection that starts out small – you may notice a little blood in your saliva after flossing, or maybe your gum tissue seems puffy in the bathroom mirror. When these symptoms pop up, though, it’s very important to visit our Skokie dental team as soon as possible to prevent more dire damage, such as the loss of natural teeth. We can provide dedicated deep cleanings that banish harmful bacteria from the mouth and revitalize gum tissue, creating a much healthier environment for your smile. Are you afraid of the dentist’s office? You’re certainly not alone – it’s estimated that up to 75% of American adults experience a mild to severe level of discomfort when faced with an upcoming appointment. That’s why our team works so hard to create a comfortable and welcoming atmosphere for patients of all ages. 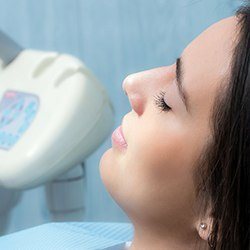 Sedation dentistry is available as a calming agent here in Skokie, both in the form of nitrous oxide (“laughing gas”) and oral medication. These safe techniques can help make even the most intensive treatment plans smooth and worry-free for stressed patients! 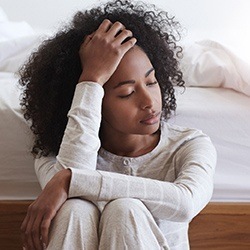 Sleep apnea is a common disorder that can rob patients of their nightly rest, their emotional and physical health, and their day-to-day quality of life. If you’ve recently been diagnosed or have struggled in vain with a clunky CPAP machine for far too long, consider visiting Dental Dynamics for a dedicated screening. 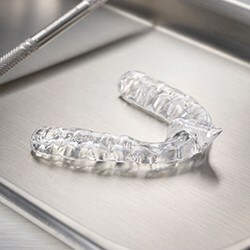 Oral appliance therapy is quickly becoming the premier treatment solution for patients with mild to moderate apnea symptoms, and our dentists can design the perfect device for your unique mouth that provides optimal comfort while allowing for free, unencumbered airflow during sleep. Has chronic jaw pain become a regular part of your daily routine? You don’t have to suffer in vain – let our dentists take a look and concoct the ideal TMJ therapy for your unique circumstances! Jaw pain is typically caused by some kind of dysfunction or strain located in and around the temporomandibular joints, which connect the lower jaw to the skull. There are multiple techniques available for restoring lasting harmony to your smile, including occlusal (bite) adjustment and custom-made splints.